Kargil Diwas which is celebrated every year on 26th of July in the honor of our Indian heroes who got the victory against Pakistan in the Kargil Diwas is the much-talked topic today. This is the day where our brave Indian soldiers finally were able to get rid of the Pakistanis who were set at the highest heights of the Jammu and Kashmir and trying to steal it from India by capturing the state but after 3 months of continues fighting, Indian soldiers finally recaptured the state and scared off the enemies and that day was exactly 19 years from today. He wrote in another tweet, “India will always remember with pride, the outstanding political leadership provided by Atal Ji during Operation Vijay. He led from the front, supported our armed forces and clearly articulated India’s stand at the world stage. #KargilVijayDiwas”. Virendra Sehwag who is a former cricketer tweeted, “Shed a small tear of pride for our heroes who fought and who laid down their lives in all their glory for our tomorrow. They fought at heights over 18k feet, inhospitable rugged terrain, steep mountains. The Nation rose above their own self. 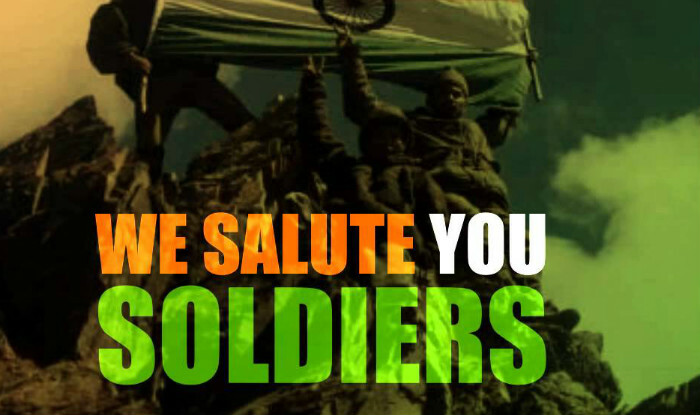 # KargilVijayDiwas! Jai Hind”. International sand Artist Sudarsan Pattanaik celebrated the Kargil Diwas by presenting this wonderful piece of art.